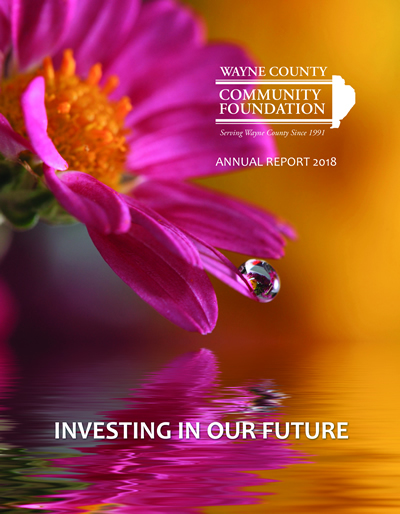 The O’Neill Society recognizes those donors who have invested in the future of our county by naming the Wayne County Community Foundation as a beneficiary of their estate plans. The name of the society honors Dan O’Neill, long-time ‘community servant’ and Foundation Board member. Funds benefited by estate plans can support any charitable cause or organization, including the Foundation itself, and can work to benefit the county – long after the lives of the donors. The names of the Society Members are published periodically in our local newspapers and in our Annual Report. There is no monetary minimum. If you have or wish to include the Foundation in your Will or other planned gift and wish to be recognized in the O’Neill Society, please contact the Foundation’s office and we will be pleased to help you complete the forms and add your name to our society.